New York, NY, December 07, 2018 --(PR.com)-- American beauty-oriented company, based in New York, released one of their products on the Asian online market. The product is called GrayOff spray and it is designed to restore the natural colour of the hair as opposed to dyes, and also to restore the production of melanin giving the hair its natural colour. 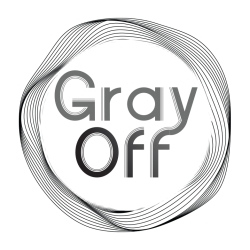 According to the information on the product's official website, GrayOff is suitable for all types and shades of hair. Manufacturer has announced a 50% discount for a limited period of time. For the time being GrayOff spray is available in Philippines, Vietnam, Thailand, Taiwan, Malaysia, and Cambodia. Within a couple of weeks the product will be spread in some other Asian countries, Europe and Africa. GrayOff spray composition is natural. It is a blend of Ginseng, Lovage root, Sesame, and Tuber Fleeceflower. Ginseng delays the appearance of grey hair and restores the production of melanin, the pigment that provides the natural colour to the hair. Lovage root has a protective effect on the hair follicles, stopping the process of discoloration and restoring the hair colour. Sesame is also essential for the production of melanin, which helps in restoring the natural colour of the hair. Tuber fleeceflower strengthens hair follicles, improves pigmentation and accelerates hair growth. Within the borders of Asia, the delivery is free of charge. Payment is required upon receipt of the order.